Melissa B. is one of the two awesome Melissas on our team. She has nearly two decades of dental experience, and she has offered our patients outstanding care since 2012. She studied at the University of Arkansas at Little Rock where she earned her associate degree in business administration. She is also certified in CPR, and Melissa has completed the J. Geier scheduling institute. Melissa is happily married with four children and four grandchildren. She loves spending her spare time spoiling her grandkids, bargain hunting, and hosting trivia and bingo. Angela has worked in the dental field since 2007, and she joined our team in 2010. She works hard helping patients feel comfortable and confident during the dental appointments. She prides herself on helping even the most anxious patients feel relaxed in our office. Angela studied at the 6th District Dental Society dental assisting school, and she went on to earn her certification as an expanded functions dental assistant at the University of Tennessee Health Science Center. She also maintains licensing in nitrous oxide monitoring, sealant placement, coronal polishing, dental radiology, and CPR. A Chapel Hill native, Angela is the mother to one beautiful child, Sofia. She loves spending time with her daughter, crafting, traveling, and she considers herself to be a thrift store shopping queen. Erica is one of our most experienced dental hygienists. She has been working in the dental field for more than a decade, and she joined our team in 2010. She loves working as a member of our team to provide patients with the care they need to achieve and maintain their healthiest smiles. She studied at Tennessee Technical University in Cookeville, and Erica earned her dental hygiene degree from East Texas State University in Johnson City. In addition to her dental hygiene degree, Erica is certified in nitrous oxide administration and monitoring as well as local anesthesia administration. She also maintains her CPR certification. A native of Spring Hill, Erica enjoys spending her free time working out, reading, crafting and crocheting, and spending time with family and friends. Melissa P. is one of the two friendly Melissas on our team. She has more than ten years of experience in dentistry, and she joined our team in 2012. She loves working as part of a caring and experienced dental team, and Melissa works hard as the dental hygiene team leader to help patients achieve their healthiest smiles. She completed her dental hygiene studies at Southern Illinois University in Carbondale. She is also certified in nitrous oxide administration and monitoring and local anesthesia administration. A native of Marion, Melissa is happily married to Stephen, and they are the proud parents of one son, Charles. They also have a dog, Simon and cat, Sookie. She is a self-proclaimed news and technology junkie, and she loves exploring new areas. Melissa and her sister are very close, and they share a birthday, but they’re not twins. Brittany is a friendly, skilled dental hygienist who is passionate about helping patients learn to love visiting the dentist. She has worked in the dental field since 2012, and Brittany joined our team in 2014. Since then, she has worked hard to establish relationships with her patients based on trust and respect. She earned her dental hygiene degree from the Indiana University Purdue University in Indianapolis. She is also certified in nitrous oxide administration and monitoring and local anesthesia administration. Brittany maintains her CPR certification. A native of Greenwood, Brittany is happily married to Matt. She and her husband have a daughter, Madelyn, and the family has two dogs, Piper and Oakley. In her spare time, Brittany enjoys hiking, scrapbooking, and attending concerts. She and her husband also foster dogs. Payten has worked in the dental field since 2014. 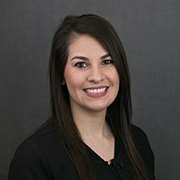 She loves educating patients about all of their oral health and hygiene needs and helping them achieve and maintain their optimal level of oral health. Payten studied at Columbia State Community College and completed her dental hygiene education through Remington College. Payten maintains certification in nitrous oxide and local anesthesia administration as well as CPR. Originally from Loretto, Payten is happily married to Derek, and they are the proud parents of one son, Breckin, and the family has three rescue dogs, Lucky, Blondie, and Bowser. Outside the office, Payten enjoys journaling, coloring, planting flowers, and collecting garden gnomes. Ashley has worked for our team since 2015. She loves meeting new patients and helping them feel welcome and comfortable in our office. She studied at Columbia State University in Columbia and Middle Tennessee University in Murfreesboro where she earned her associates degree in Elementary Education. Originally from Van Nuys, Ashley and her husband are the proud parents of one daughter, and the family also has one cat and one dog. In her free time, Ashley enjoys reading, playing with her daughter, paddle boarding with her husband, and she is the claw machine game champion. Abby has worked in the dental field since 2010, and she’s brand new to our team. She has really enjoyed interacting with her new team and helping patients feel comfortable and right at home in our office. She loves helping patients with dental phobia overcome their fears and look forward to visiting our office. She attended the 6th District Dental Society dental assisting school and completed her expanded functions dental assisting certification after studying at the University of Tennessee Health Science Center. She is also certified in nitrous oxide monitoring, dental sealant placement, coronal polishing, dental radiology, and CPR. Abby enjoys spending time with friends and family, especially spoiling her five nieces and nephews and two cats. She loves reading and doing anything outdoors. Originally from Columbia, Abby has attended every Mule Day since her birth! Darlene is new to our office and the dental field. She has enjoyed creating bonds with patients and her coworkers, and Darlene looks forward to learning and growing in the dental field. Darlene studied at Columbia State Community College and looks forward to putting her skills to work helping patients find reasons to smile. Originally from Port Richey, Darlene enjoys spending time with her awesome parents and two crazy little brothers. She loves riding motor cycles and making signs out of old wood in her free time.